We Buy/Sell Gaylord Boxes OR. We have boxes available for sale in the state of Oregon. We carry boxes of all strengths and sizes in inventory throughout the Pacific Northwest. Upon the completion of this form, your request will be sourced and handled immediately. We offer a complimentary gaylord box removal and recycling service to all of our customers in the state of Oregon. We will coordinate a pick-up window, and send one of our trucks to pick up your inventory. If you’re in possession of lightly used gaylord boxes, we would like to purchase them from you. The only condition that we hold when purchasing boxes is that the boxes have to be either grade A or B+. 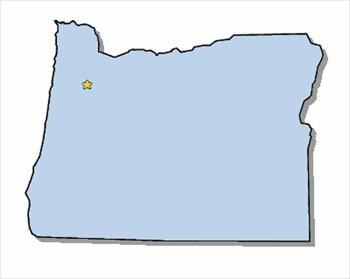 The Gaylord Box Exchange is actively seeking customers in the state of Oregon. While we have in the greater Portland area, we have ample supply in the bordering states of Washington, California, and Nevada. In addition to those suppliers, we are also actively building supply in the state of Idaho. Thus, we urge you to fill out a box buyer form so we can adequately provide you with the exact boxes that you are looking for. Conversely, if you are looking to sell your gaylord boxes, we will purchase them from you at a competitive per-box rate in order to build a partnership moving forward. Lastly, if you have gaylord boxes that you would like removed, please consider using our gaylord box recycling service; which is complimentary for all customers, no matter where they are located. It is vitally important to us that all gaylord boxes are disposed of and repurposed in an efficient and environmentally friendly fashion. We look forward to doing business with you!